1) The Witness is going to be awesome! What was the last game you played that you feel “This has something”. Jonathan responds with Miegakure and Manifold Garden! He says “it feels like a game that really knows what it wants to do” and “just goes straight there and doesn’t mess around with other things”. 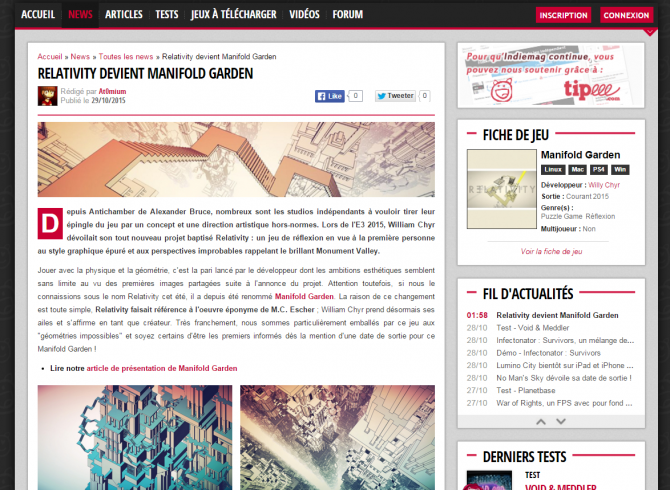 If you can read French, IndieMag wrote about Manifold Garden! Très franchement, nous sommes particulièrement emballés par ce jeu aux “géométries impossibles” et soyez certains d’être les premiers informés dès la mention d’une date de sortie pour ce Manifold Garden ! 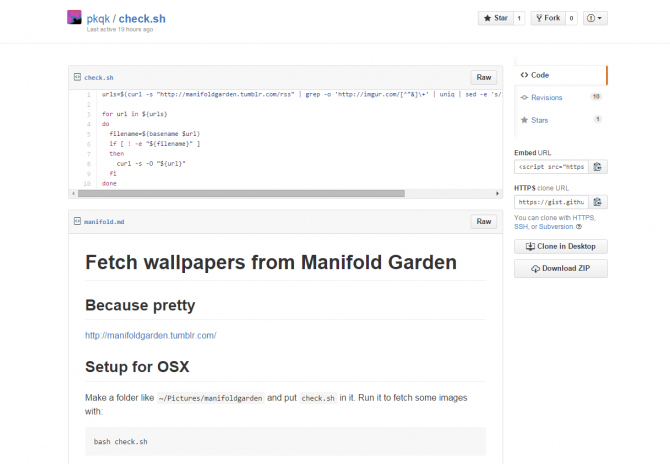 Ever wanted to automatically fetch and cycle through Manifold Garden images for your wallpaper? Now you can! Thanks to @pkqk, there’s now a shell script to automatically fetch images from the Manifold Garden tumblr page and cycle through them as your wallpaper.